The most important part of planning your festival experience is, of course, the set times. 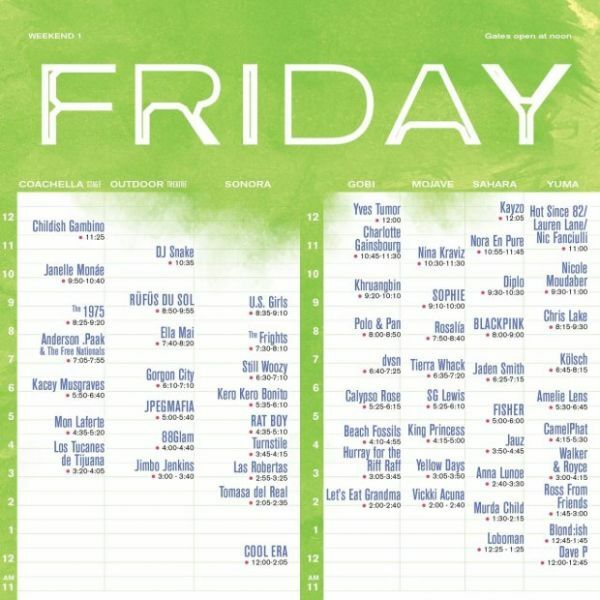 You're pumped to see your favorite bands at Coachella, and now that the set times for the first weekend have been released, you can really get to work mapping out your days and making sure you don't miss anything. The festival kicks off Friday with a strong start, boasting a lineup of Kacey Musgraves, Anderson .Paak and the Free Nationals, The 1975 and Janelle Monáe, ultimately ending the evening with Childish Gambino, all on the main stage. Elsewhere on the festival grounds, festival-goers can enjoy sets from RÜFÜS DU SOL, Charlotte Gainsbourg, Let's Eat Grandma, Diplo, Jaden Smith and more. Saturday night, Weezer takes to the main stage, followed by Tame Impala, while Bassnectar will play a late set at the outdoor theatre--where Billie Eilish, Christine and the Queens, Mac DeMarco, and Ty Segall and White Fence will all perform earlier in the day. Other acts on Saturday's schedule include Four Tet, Aphex Twin, Kid Cudi, Wiz Khalifa, Idris Elba and more. The weekend comes to a close on Sunday night with Ariana Grande on the Coachella stage, as well as Zedd and Khalid earlier in the evening. The day's lineup also includes Gesaffelstein, Unknown Mortal Orchestra, Sofi Tukker, CHVRCHES, Dillon Francis, NGHTMRE and more. The weekend will also feature plenty of electronic music over at the Dolab stage, with sets going into the early-morning hours to keep the party going all weekend long. Be sure to consult the official Coachella app to create your schedule, consult interactive maps, find food, mobile pay and more. If you haven't gotten your tickets yet, what are you waiting for? 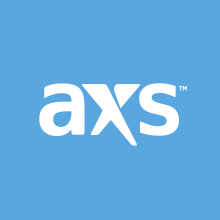 Snag them now right here on AXS, and be sure to check out our picks for the best food options at the festival. As for those of us who can't make it, some of the biggest performers will be featured on the Coachella live stream.